From version to version, Microsoft has increased the integration capabilities of Dynamics NAV. With the release of Dynamics 365 Business Central, the integration options have gotten even better. But with the added the potential of the Microsoft Azure platform the integration capabilities become literally limitless. In the old days, when there was a need to apply non-standard business processes inside the system, it was the standard functionality that got modified. Now we can avoid that and jump out of the system to use ready services, provided by Microsoft Azure platform. For example, we can use Microsoft Flow instead of programming complex approval routes inside Dynamics 365 products. We can use PowerApps to provide access to business data to multiple users without the need of a developer. Building up Power BI reports gets many times faster than trying to program the report with standard NAV tools. There are hundreds of Azure services that can be utilized to cover the needed business processes – limited just by imagination. One of our customers came to us one day and asked if we could create a solution that would tell him what the market thinks about his products. To fulfill his request, we integrated his ERP system with Twitter using Flow, and each time there was a tweet mentioning his product name, we took that tweet and put it into Azure Cognitive Services to recognize the emotional attitude of the text (to what extent it is positive or negative), and returned the result back to the ERP system. Within a few months our customer could see directly in his list of items how the market was reacting to each item. What is most interesting, our solution did not require much programming, except raising up the API in the ERP system. All the rest was done on a user level by just by setting up the connectors. Having that power in our hands, we strongly advise you to first look at the set of Azure Services available before you go customizing your standard Dynamics application. There are great integration possibilities which we can utilize, and IoT is no exception. As an example, my colleague Andrey Baludin and I were presenting a sample case, demonstrating how easy and powerful the integration with IoT devices through Azure Functions is at the latest NAV TechDays conference in Antwerp. As a business scenario, we took imaginary requirements to prevent a Business Central user from posting a sales invoice if the user was too drunk, by automatically triggering an extra level of approval. 1) Arduino Uno controller with USB cable (you can use analog, price is around five to seven dollars) to control the measurements. 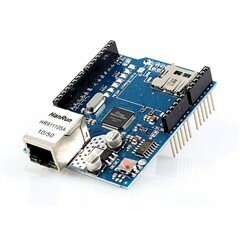 2) Ethernet shield for Arduino Uno and ethernet cable (price also is around five to seven dollars) in order to get connected to the network. 3) MQ3 meter with connection wires (three to five dollars) – a sensor that measures fraction of alcohol in the air. 4) Any alcohol for tests (price depends). With several easy steps, we built a solution that fulfills the requirement of the business process. Here the power of Azure function gets applied. As Microsoft says, "Azure Functions provide a serverless development experience supporting a robust set of event triggers and data bindings. Functions are billed based on total number of requested executions each month for all functions.” That is, you can create your own function and put it to Azure serverless environment without complications. How does that relate to Business Central? Alexander Ermakov has over 25 years of experience working with IT, last 12 were tightly dedicated to Microsoft technologies in Business Solutions and Azure. He had sold his heart to Dynamics NAV (now Dynamics 365 Business Central), and for many years in a row evangelizes Dynamics platform inside Russia and across the board - with a focus on Russian localization and compliance with local legislation requirements. Having graduated in two degrees - in Economics and Mathematics - Alexander got also MBA in 2000. Alexander has accounting background, being certified Auditor (since 2009) and working as Chief accountant before he dedicated himself to IT. This makes him not just a good functional consultant, especially in Finance, but a person who exactly knows the problems and fears of the users and can address them accordingly. His credo is to always use the standard functionality and avoid customizations where possible. Starting from 2012, he is also MCT and lectures customers as well as public community in seminars all over the Russia. Starting from 2016, he is active Microsoft MVP in Business Applications. For the last 12 years, Alexander has worked for Awara IT, one on the most efficient and competitive IT companies in Russia that deals with implementation of ERP systems and business consulting, focused on international roll-outs to Russia. Links: Alexander's Blog, Alexander on Twitter.